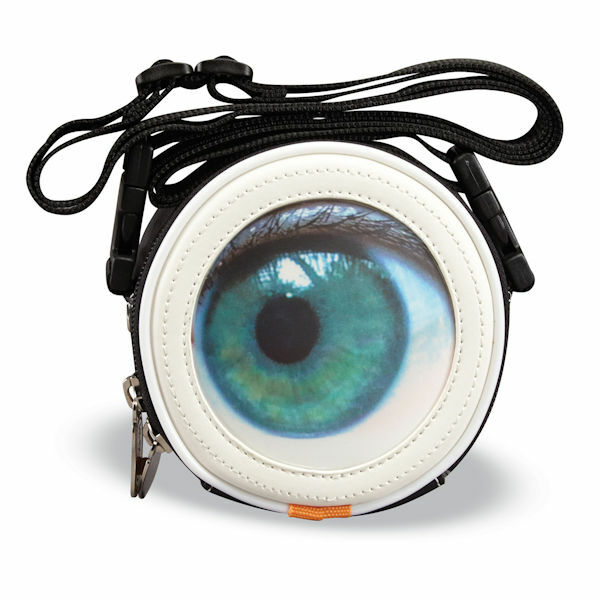 Start a trend with this adorable crossbody bag. 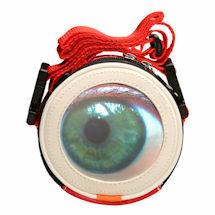 The 3-D lenticular eye winks at people as you pass them, or as they pass you. 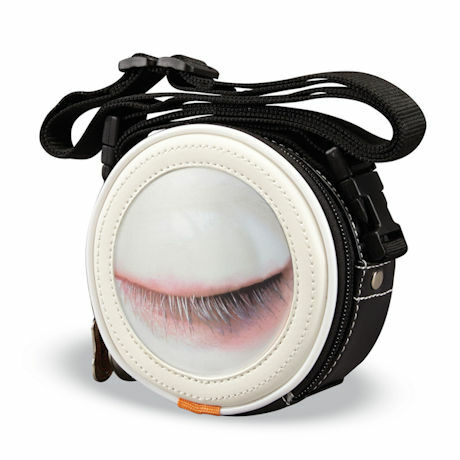 Bag has a zipper closure, back zipper pocket, and two removable nylon strap adjusts 35"-60". Black-andwhite vegan leather with polyester. 5" diameter, 2 1/2" deep. Item can only be shipped within the Continental US.